They've formed an alliance and hope to bring an end to unfair city enforcement and excessive police overtime costs. 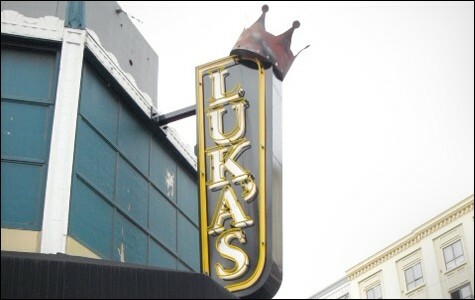 Luka's Taproom owner Rick Mitchell has joined with other club owners to form the Oakland Cabaret Alliance. It's a shaky time for clubs in Oakland. Late last year, any venue with more than one pool table received a letter from City Hall, stating that it officially qualified as a "pool hall," and would therefore have to pay a one-time fee of $1,040. Clubs with arcade games got a similar notice, also requesting payment of a $1,000 permit. Then, the city sent out letters to clubs that rent their facilities to outside promoters, saying that most such events require a $30 "special activities" permit. In fact, special activities fees, which are set by the city council, run much higher than that. An event that's expected to draw one hundred to three hundred people, like the Friday night dance parties at Maxwell's Lounge, requires a $100 fee. The fee for a "large" event with 301 or more people is $150. And that's just the tip of the iceberg. Over the past several weeks, the Express has reported that some clubs are getting billed for police overtime even when their events cause no trouble and thus have no need for police. Maxwell's owner Dr. Darrell Edwards said he's already paid $400 for one police overtime bill, and he has two more sitting on his desk. "They don't talk to me about it," Edwards said. "I just get them in the mail." With the pool table panic compounded by special activities panic, and all that exacerbated by seemingly arbitrary enforcement policies and excessive police overtime costs, it's no surprise that Oakland club owners started to feel apprehensive. 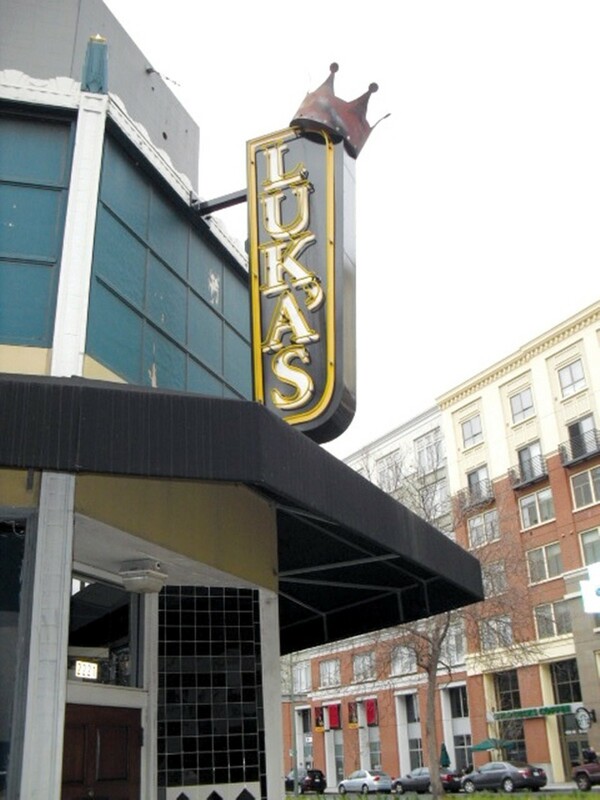 Last week, when assistant to the city administrator Arturo Sanchez called a meeting to give each club its license renewal agreement, Luka's Taproom owner Rick Mitchell arrived with a lawyer in tow. Mitchell and other club owners also formed the Oakland Cabaret Alliance to lobby for changes in city rules. "I think my concern is the same as everybody else's was, when we saw these proposed new conditions," Mitchell said. "If we accepted them as they were presented to us, then there would be so much uncertainty in our day-to-day operations that we wouldn't really have any way of knowing if we were compliant at any one time." Club owners note that under the city's guidelines, as written, OPD gets to arbitrarily decide which clubs require police overtime and how much they should pay — with no oversight and no input from anyone. The guidelines also provide for no appeals process should club owners believe that they're being overcharged. The lawyer that Mitchell brought on board, Alexandra Foote of Farber & Foote LLP, volunteered to help sort through the cabaret rules. As the wife of Plum restaurant owner Daniel Patterson, Foote considers herself a stakeholder in downtown Oakland's entertainment district. She says her main job is to help the 45 cabarets interpret the language of their new contracts, and recommend changes if need be. Sanchez, who now works in the office of Mayor Jean Quan, welcomed the idea and gave the club owners thirty days to cogitate. "Rick asked me to take a step back ... I said I'd be happy to do that," Sanchez said in an interview. Geoffrey Pete, whose club Geoffrey's Inner Circle closed in 2009, feels optimistic about the alliance. His biggest problem with the current cabaret system is that it delegates too much power to the Oakland Police Department. Pete largely blames the cost of police overtime for shuttering his own venue. As this newspaper has reported, there's strong evidence that after Pete refused to pay thousands each month for police overtime, Sergeant Kyle Thomas fabricated a story about an alleged shooting, drug dealing and fights in Downtown Merchants Garage, where Pete's customers parked. The garage then canceled Pete's long-term lease even though there had never been any complaints involving his patrons at the garage. Thomas later admitted that police had no record of a shooting, drug dealing, or fights inside the garage. But last week, a federal judge dismissed Pete's lawsuit against OPD, ruling that there was not enough evidence to prove that the department violated his civil rights. Pete contends, however, that his lawsuit proved that there needs to be oversight of Oakland police by a third-party entity when it comes to clubs and excessive overtime charges. "I would like to see an entertainment commissioner paid for by the city, independent of OPD, that oversees a board that consists of cabaret owners, Oakland Police Department, and members of the community," he said. Pete added that in the past, cabaret owners haven't had a real advocate to leverage against the interests of the police, or of City Hall. And because there's no adequate system of checks and balances, police have been allowed to use local venues as a revenue source. That said, both the cabarets and officials at City Hall agree on the importance of nightlife to the local economy. "They're the backbone of our downtown," Sanchez said. "Whether it's uptown or Jack London, these are the folks who are bringing people into Oakland." Foote echoed his sentiments, adding that nightlife is even more critical now that Oakland is on the verge of losing its redevelopment money. Indeed, no one wants a sterile downtown. Most venue owners also don't mind paying for a reasonable amount of police overtime when they hold a large event. But some cite instances in which OPD has clearly abused the system. Pete noted that when he tried to throw a birthday party at Sweet's Ballroom in 2009, OPD demanded that he hire eighteen officers in addition to his own security, creating an extra $7,600 expense. Pete said he got Assistant Chief Howard Jordan to intervene and bring the requirement down to eight officers, but the police unit in charge of determining how much club owners should pay for overtime ultimately shut his party down anyway. The Express reported last week that the officer who shut down Pete's party — Michael Morse — after Pete balked at paying overtime for eighteen cops also was the highest overtime earner in the department last year, pocketing more than $118,000 in OT. Pete says it's an example of what can happen when the police have "total discretion." Moreover, the definition of a "special event" is rather ambiguous, and could be interpreted many different ways, said Councilwoman Rebecca Kaplan, who is currently working to refine the language of Oakland's cabaret laws. "I'm also having conversations with people about working on a more deep, systemic change to how special events are handled," Kaplan said. The councilwoman explained that, ultimately, she envisions a system in which OPD doesn't always have the last word on how much clubs and event organizers have to pay for police overtime. But other venues see the restrictions on pool tables and arcade games as a big thorn in their side, too. With that in mind, they might lobby to repeal sections of the municipal code, which deems any club with more than one pool table a "pool hall," and any venue with arcade games an "arcade." Stork Club owner Tom Chittock already took his own preemptive strike. He removed the Stork's second pool table in November, shortly after the first series of letters went out. He said $1,000 was too much to pay, especially when his two pool tables only made half that much per year.